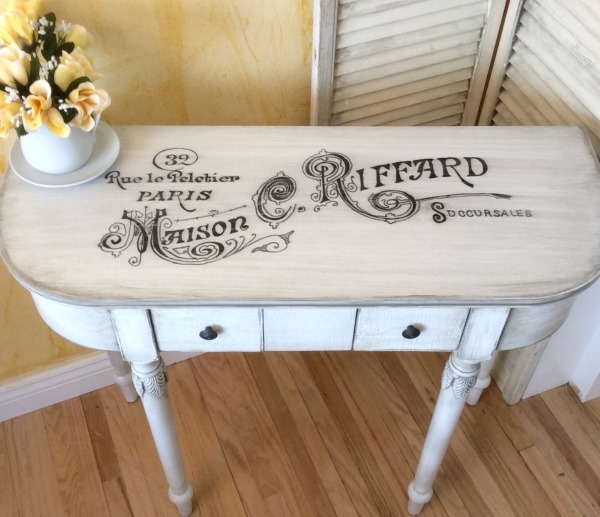 Today’s reader feature was submitted by Rose, who shared her gorgeous DIY French Table. 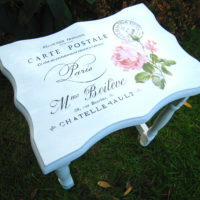 First, she painted the table with chalk paint, and then transferred the Paris Maison Graphic. Lastly she added a dark glaze to give it an antiqued look. It turned out gorgeous- thank you, Rose for sharing with us!! « Vintage Ship Stock Image! This is a GORGEOUS classy table!! I find that the image transfer seems very crisp. When you share such projects, could you please, please share the link to the artists’s blog/site if any? 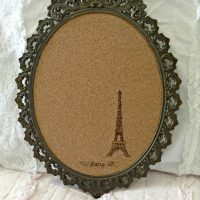 I know you have various decoupage/image transfer methods on your site but I usually like to know what specific method was used on this project for example to get the crisp transfer. Hope to know more about this beauty and the methods used. Thanks for sharing and inspiring us!! 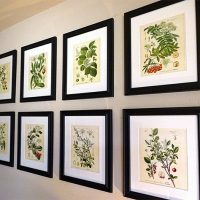 Hi Rupa, Yes, we always share the link to the artist’s post, if they have one. Just click on it to get more info from the artist/Diyer! I love the Capital M and capital R in the ” Paris Maison Graphic”. The flourishes around each letter are wonderful. Is there somewhere where you can get a whole alphabet like this? Your email is the highligt of my day!! Thanks Paula! No, I’m sorry it’s not a font, it’s original typography, so that’s all there is unfortunately. Love it! I definitely have to give that a try, I just need the right piece of furniture. Thank you for sharing this. Yes, give it a try! I hope you find the right piece! 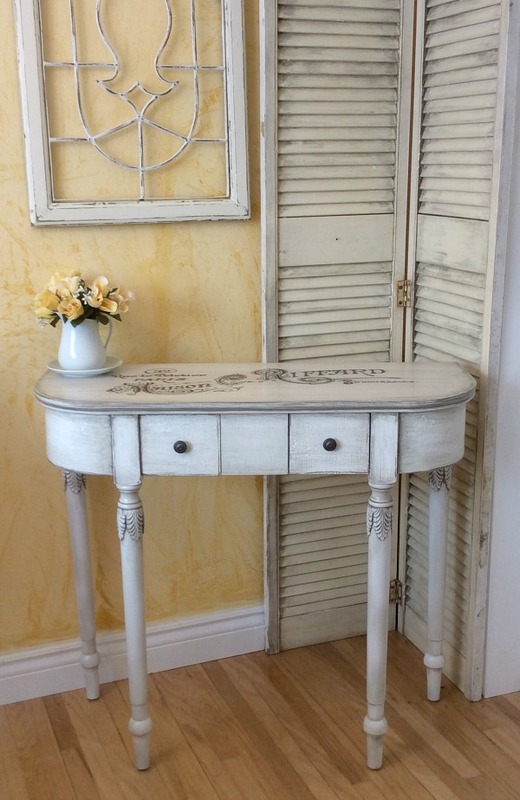 I agree with Rupa…this table is gorgeous! Especially crisp text. I would like to know what transfer method she used too. Some of the transfer methods on Graphics Fairy site have not worked so well for me. Thanks so much for sharing!! Hi Tina, it takes some trial and error. Grab some scrap wood and have a go at it, to see which method works best for you. Practice helps too!